Thanks as ever to Richard for these pics of the incoming Dennis Tridents which have been displaced from the First Kernow fleet by "our" Enviros! IAN VISITS: Weekly round-up of London’s railway transport news The London Overground Line has added £80 billion to the value of homes within walking distance of its stations, a new study claims. IAN VISITS: 100th anniversary of THAT famous poster Today marks the 100th anniversary of the publishing of one of the most famous posters from WW1 — the one of Lord Kitchener pointing a finger at the viewer telling them that their country needs them. FOCUS TRANSPORT: Go Ahead Results "The end of the year marked the halfway point towards our bus operating profit target. 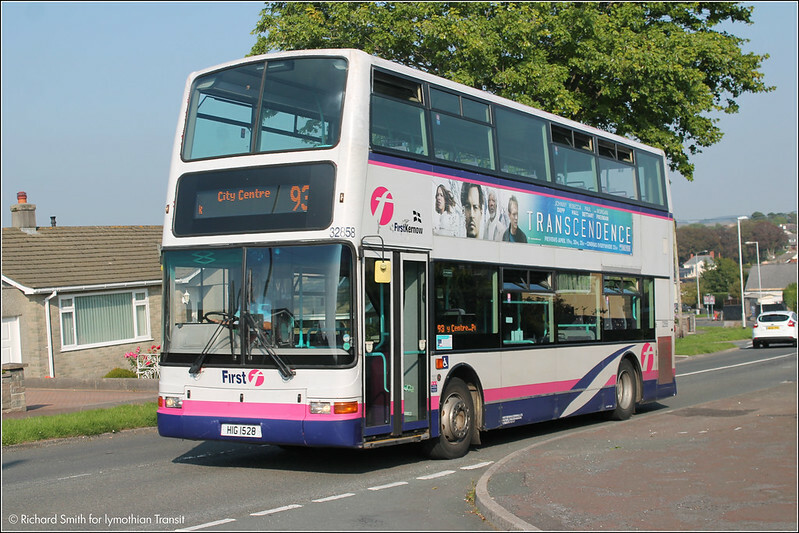 We made steady progress towards our target in the year, and remain confident in our ability to achieve £100m of bus operating profit by 2015/16. CIRCLE OF LONDON: Metroline CELF Centre Part 46 Another visit to the CELF Centre facility presented us with another opportunity to take some shots which otherwise would not be widely available to the general public. PUBLIC TRANSPORT EXPERIENCE: Hello Max : Goodbye Sapphire? Another Super-Bus Service? It was a huge launch in the North-East; complete with bright lights, new livery and even a robot to scare the children away from buses! Arriva's X10 and X11 are one of the first services to get this treatment. 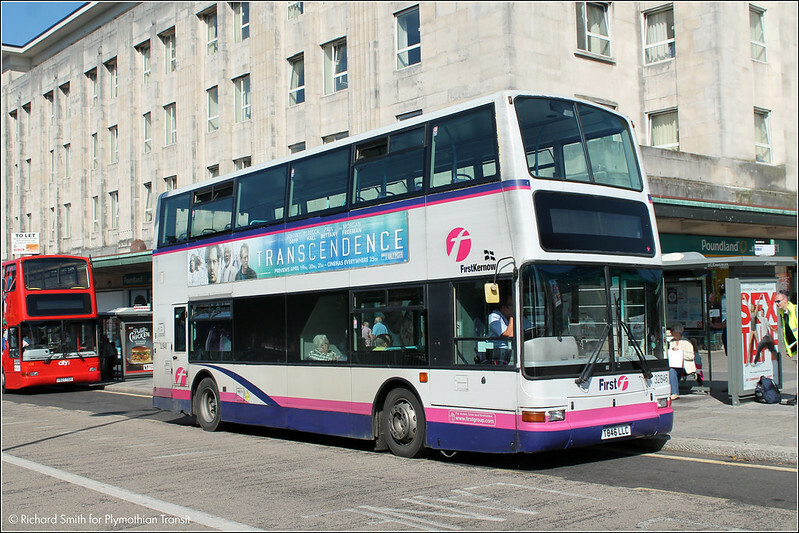 (i) Plymouth Citybus have won the contract for the 79 service. The 79A will be dropped in favour of Darren's Taxis running an 'on demand' service for the Cotehele area. This should allow Citybus to use larger vehicles - quite possibly normal-size Darts. The service will, however, restore the bits of the Callington Town Service which were missed out by WG and also alternate direct Tavistock-Callington journeys with ones going through Metherell and Harrowbarrow. The new timetable should appear next week - what's the betting it will offer good connections in Tavistock with Blue Flash to Plymouth? (ii) First are receiving severe flak for almost abandoning Ashton and St. Dominick - their new timetable for the 76 is almost entirely direct along the main road from Callington to St. Mellion. 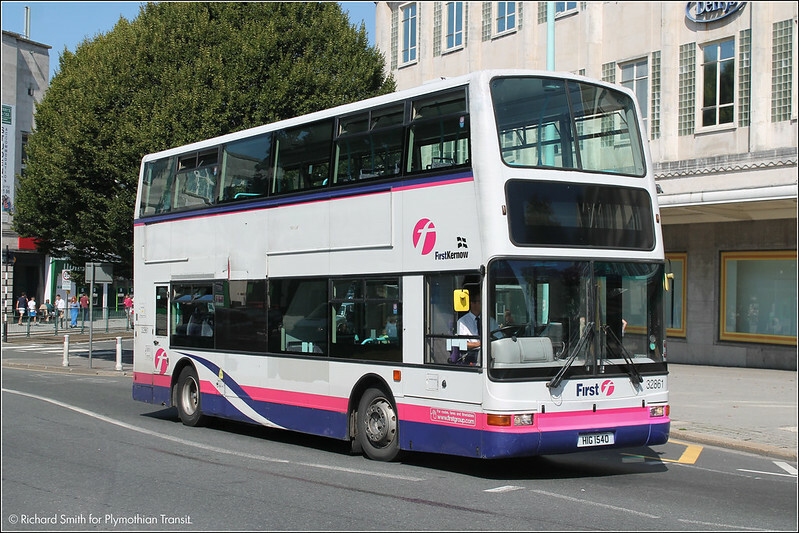 From their web-site: "The timetable is being revised to provide faster journeys between Callington and Plymouth. Most peak journeys will continue to serve Ashton and St Dominick". Let us be quite clear than the only reason for providing faster journeys is that they are losing a lot of passengers to Western Greyhound. The second statement that 'most peak-hour journeys ...' is just simply untrue. Untrue, that is, unless you interpret two morning journeys towards Plymouth and one evening journey towards Callington - that's 13% - as 'most'.